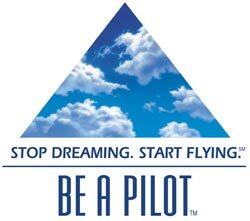 The dream to fly like a bird is one experienced by many of us in our youth. To feel the freedom, experience the view, shed the traveling constraints of ground-based people — these are our childhood wishes. It’s not too late! Lakeshore Aviation can make it a reality with our experienced instructors, time-proven instruction programs, and variety of aircraft. And, it can be less expensive than one would think! 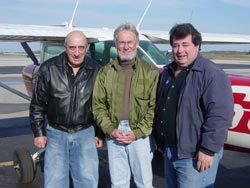 Lakeshore Aviation is proud to offer all levels of flight instruction with a very experienced staff. Whether you're a beginner looking forward to your first flight (we promise you'll come back with a smile!) or you're looking to add on an advanced rating or just get some refresher training, we're ready to work with you to attain your goal. Call or stop in and meet Leon Sigman, Jim Wheeler, Curt Drumm, or Dave Schmutzler and let us know how we can help you achieve your desired flight experience! Between us, we have over 175 years of flying experience and over 40,000 hours of flight time in various types of aircraft. Call 920-682-0043 today for a specially-priced “Discovery Flight” with an instructor giving YOU the pilot’s seat and controls, or visit Be A Pilot.com for a money-saving flight certificate.